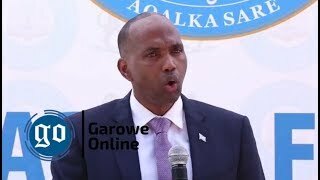 MOGADISHU, Somalia - The newly appointed Chief of National Intelligence and Security Agency [NISA], Hussein Mohamed Hussein took formally his oath of office on Wednesday, Garowe Online reports. 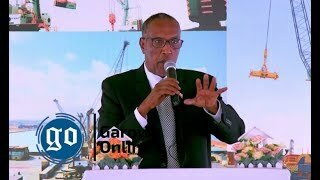 Hussein assumed power during a handover ceremony held at the NISA Headquarters, with attendance of MPs and Government officials, including the Security Minister, Mohamed Abukar Islow alias 'Dualle". Islow has urged Hussein to fulfill his responsibility to serve the nation and strive hard to enforce security in the horn of Africa Country beset by terrorist attacks by the Al-Qaeda-affiliated militant group Al-Shabaab. 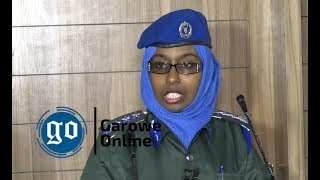 The new commander who holds dual Somali-Canada citizenship was endorsed by the cabinet last Monday to lead the U.S.-funded Somali Intelligence agency, taking office from acting chief, Abdulkadir Mohamed Jama. 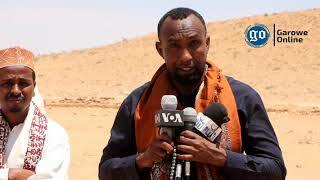 He succeeds Abdullahi Mohamed Ali, alias "Sanbalolshe" who was sacked in 2017 over incompetence following October 14 truck bombing at the busy Km5 junction in Mogadishu that left 512 people dead. 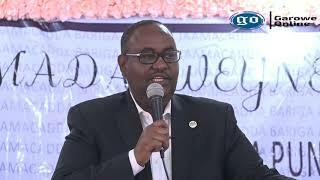 Hussein becomes the second NISA boss to be appointed since President Farmajo came to power in February 2017. 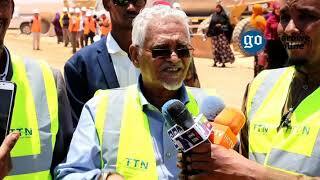 Prior to this post, he served as the Deputy Minister of Health and a Member of Somali Parliament.